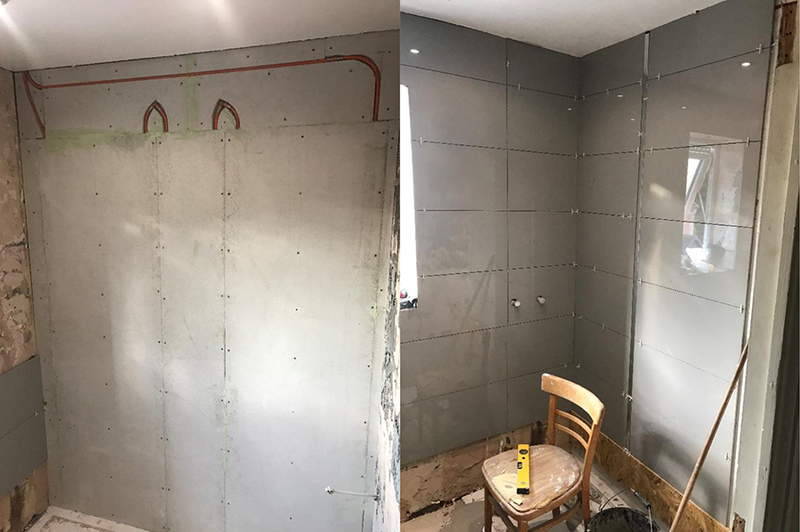 Practical uses for wall heating include; bath/shower rooms, offices, churches, sports halls, new build properties with posi-joists etc. The system can produce 201W/m2 @ 50 degree flow temperature and 20 degree room temperature. To put this into perspective, a screed floor heating system with tiles (the best output) is approximately 150W/m2, the wall heating has a 33% better output! A new build property is often calculated at a heating requirement of 40W/m2 and a refurbishment project is 60-80W/m2. 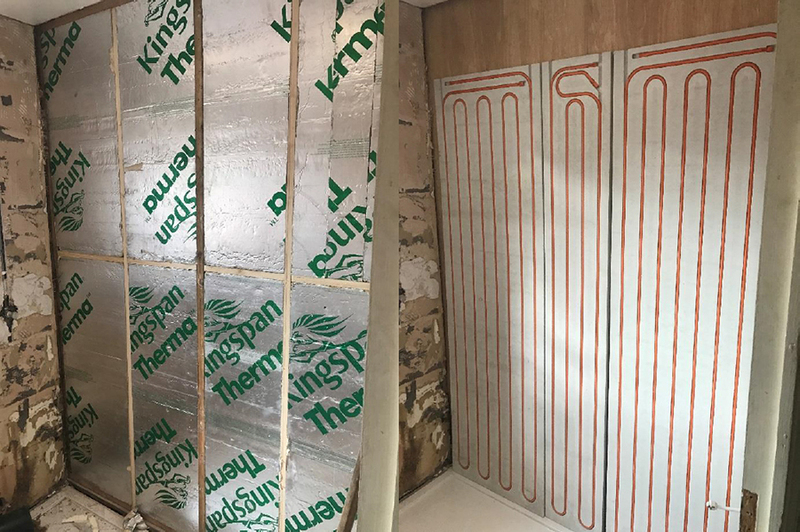 Because of this output and the most common heating requirements of a build project, it’s easy to see that the wall heating system only requires 30-50% of the equivalent space that a floor system would require to heat a room. For example, a 20m2 room would require 6-10m2 of wall heating. 2m x 0.6m panels are the most commonly used therefore only 5 linear meters of wall space would usually be sufficient! For those asking “what about hanging pictures etc?”....don’t worry! !....a thermal strip can be supplied which shows where the pipe is when it’s on. Alternatively a pipe locator can detect pipe as the wall heating pipe has an aluminium layer.